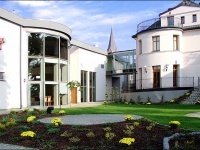 Villa Tradycja joins elegance, modernity and friendly atmosphere. 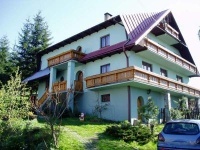 This is a new rich equipped place, which unique decoration delights with its style and unique climate encourages visiting it again and recommending to acquaintances. The stylish arrangement, unusual atmosphere and professional service connected with the highest level of service make an ideal place for work as well as for rest. Villa Tradycja distinguishes with its architecture and rich offer adjusted to the expectations of the most exacting guests. 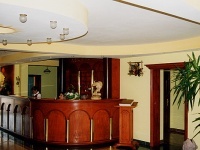 The warm and cosy interior, high standard and competitive prices distinguish us among the other hotels. All the rooms have appropriately chosen furniture and a wide range of modern solutions giving our guests comfort and relaxation during the stay. 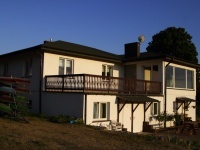 We assure the full prestige, class and convenience thanks to our professional servicing, cultivating family atmosphere and Old Polish hospitality. 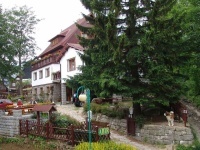 Villa Tradycja offers an european standard with polish tradition and hospitality. We offer our guests 26 comfortable rooms with different type and standard also 2 luxurious 2-floor suites, including one so called “studio” (family room). All of the rooms were designed and furnished to give you an elegant look and home atmosphere as well. Specious and functional rooms are equipped with everything that makes the stay convenient and comfortable. The space of each room gives an excellent environment for work and leisure time as well.